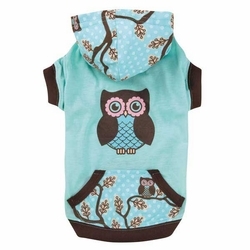 The Zack & Zoey® Hoot and Howl Dog Pullover is on-trend with its exclusive Hoot and Howl owl pattern. 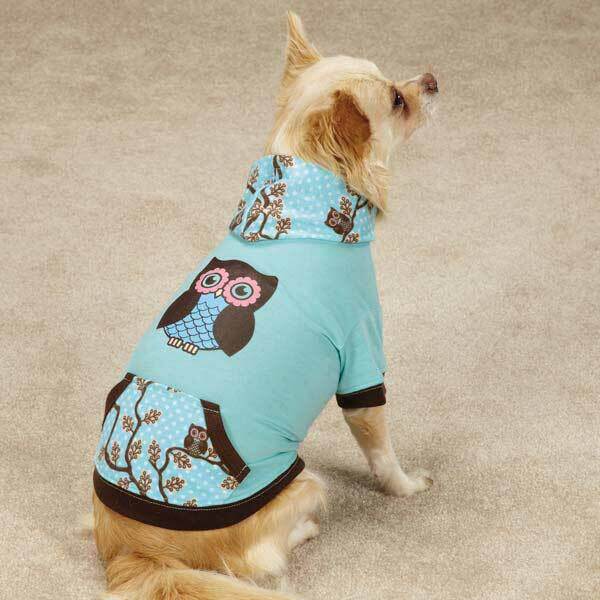 Dogs will have an Owl of a good time in the hoodie. 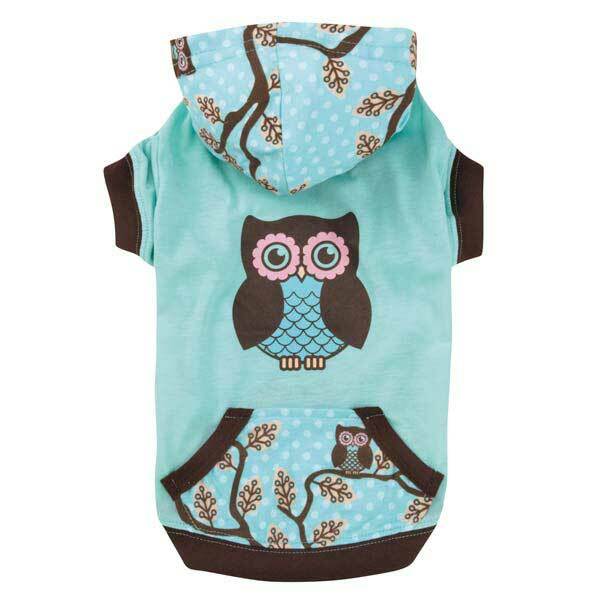 The Zack & Zoey® Hoot and Howl Dog Pullover features cute details on the hood and pocket and a screen printed owl on the back.Made of 65% Polyester, 35% Cotton. Machine wash in cold water on gentle cycle. Line dry. Pair it with one our matching collars, leashes, or Hoot and Howl products. Imagine your darling pet in this sporty outfit! • Chest: 12" (Most Important) • Neck: 9"